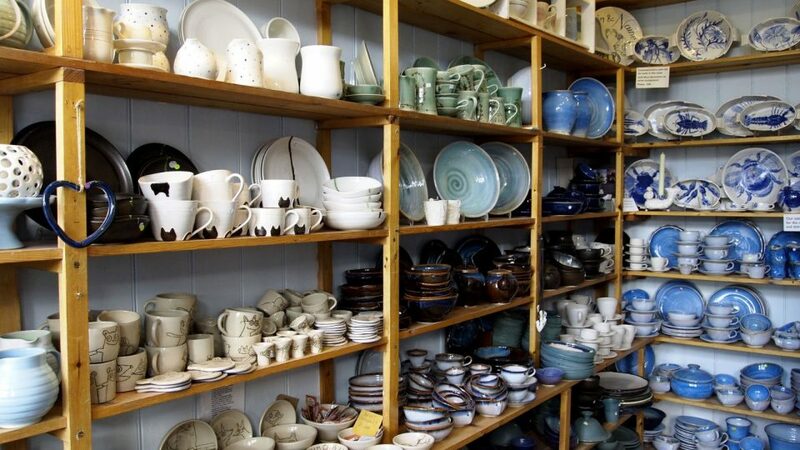 Our handmade pottery is created by individual members of the group, each with their own creative style. We collaborate on large restaurant orders and share a wide range of house glazes. Our dinner services and tableware are robust, stoneware pieces, and are suitable for microwaves, oven cooking and dishwashers. Our decorative pieces are mostly made with stoneware clay, and are individually hand painted. We sell ceramic sculpture, made by a variety of potters in their own studios, including small figurines and comical pieces.